View and edit any binary file on your hard drive (unlimited file size) and text files including Unicode files, C/C++ source code, etc. Unique Binary Templates technology allows you to understand any binary file format. Find and fix problems with hard drives, floppy drives, memory keys, flash drives, CD-ROMs, processes, etc. Analyze and edit text and binary data with powerful tools including Find, Replace, Find in Files, Replace in Files, Binary Comparisons, Checksum/Hash Algorithms, Histograms, etc. Powerful scripting engine allows automation of many tasks (language is very similar to C). Import and export your binary data in a number of different formats. 010 Editor’s unique Binary Templates technology allows you to understand the bytes of a binary file by presenting you with the file parsed into an easy-to-use structure. For an example of how Binary Templates work, open any ZIP, BMP, or WAV file on your computer and a Binary Template will automatically be run on the file. Binary Templates are easy to write and look similar to C/C++ structures except they are very powerful and can be configured to parse any binary format. A repository of Templates that other people have written is available online. For more information on Binary Templates see Introduction to Templates and Scripts. The hex editor built into 010 Editor can load files of any size instantly, and features unlimited undo and redo on all editing operations. The editor can even copy or paste huge blocks of data between files instantly. 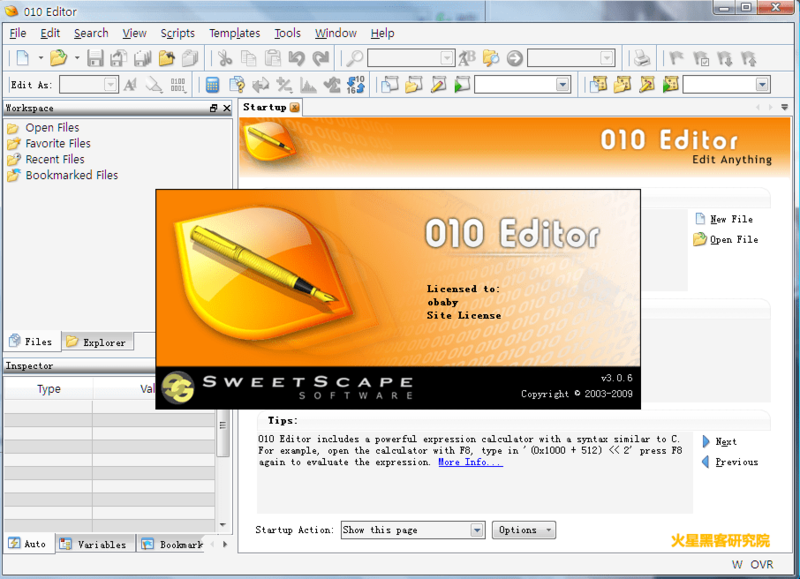 Try 010 Editor and we’re sure you’ll agree that 010 Editor is the most powerful hex editor available today!